Antonia Neubauer is on Wendy’s WOW List of Trusted Travel Experts for her expertise and connections in Bhutan, Myanmar, and Nepal. The reviews below are from real travelers who’ve taken trips that were arranged by Antonia and monitored by Wendy. Don’t miss Antonia’s Insider’s Guides to Bhutan, Myanmar and Nepal. We are a couple in our late sixties. We have traveled extensively and generally prefer independent travel, which we arrange ourselves whenever we feel it is feasible and prudent to do so. When we decided to go to Nepal, we considered the possibility of making our own arrangements but for several reasons, we elected to use the services of an expert, Toni Neubauer. This is the second occasion for which we have used a travel expert vetted by Wendy Perrin. (The other was to Kenya and Tanzania.) We consider both of these trips to have been extraordinary experiences – truly memorable “trips of a lifetime”. We began our preparations in January 2018 by reading Toni’s Insider Guide for Nepal and filling out a form to provide some basic guidelines about our goals and interests for the trip. Toni called us immediately to discuss trip variables, options, and opportunities. From that discussion, Toni prepared a detailed draft program for a trip that would occur in late October and early November. The draft program offered a combination of specific recommendations based on Toni’s expertise and intimate knowledge of Nepal balanced with options from which to choose, such as for accommodations in some places. Toni answered all our many questions promptly and fully, and by early February we approved a complete trip program. Toni and her staff provided comprehensive information that was easy to follow and implement regarding visa requirements, medical and immunization issues, and travel insurance. She also provided extensive country information that we used to become more familiar with our destination. About a month before our departure, Qatar Airways canceled our return flight from Kathmandu and rebooked us onto a later flight. We contacted Toni, had good exchanges with her about how to adapt our program and ended up with changes that actually improved the itinerary. We were very happy with the program that Toni had designed, but the true measure of a successful trip is the execution of the plan. That implementation was virtually flawless. Everyone who had been engaged by Toni to support us or provide services in Nepal did so in a manner that exceeded our expectations. All our guides were friendly, knowledgeable, resourceful, and solicitous of all our needs and wants. Rajiv, the representative of the local tour operator who was responsible for coordinating transfers and transportation, was punctual, dependable and gracious at all hours of the day and night. Shiva, our driver throughout our stay in Nepal, not only was professional, calm and steady in horrendous driving conditions but treated us with true caring and kindness. We came to feel that we were seeing Nepal with our companions, our new friends. Toni’s intimate and current knowledge about facilities and activities in Nepal led us to places that we could not have found, despite doing some research on our own using the must recently published guidebooks. Our stays in the Barahi Jungle Lodge and the Gorkha Gaun Resort; a fun day in Bhaktapur for a private cooking lesson and lunch at Hari’s Home and a walking tour with Hari; and a visit to a local library supported by Read Global, where we were welcomed as if we were state dignitaries; all were highlights of the trip and illustrate the network of resources that Toni draws from to design a custom program that fit us very well. As a couple, we have different physical abilities and limits. One of us enjoys an occasional hike while that is not possible for the other. Toni’s program accommodated both of us. We went to Nepal with hopes of seeing mountains and animals. We saw many mountains and animals, and they were spectacular. However, as a result of Toni’s guidance, we also came home with a good sense of the culture of the country. Our “bucket list” still contains places in Asia that we have yet to visit. In the future, when we visit places for which Toni Neubauer is a trusted travel expert, there is no doubt that we will call on her again to organize our trip. My wife Susan and I have always wanted to travel to Bhutan and India but wanted to use a travel counselor with plenty of experience in these countries to make sure that our trip was as enjoyable as possible. Toni Neubauer was an absolute pleasure to work with as she was extremely knowledgeable, responsive and had on the ground local partners that handled all of the day to day logistics flawlessly. I would highly recommend Toni for anyone traveling to either or both of these countries! My wife & I decided to travel to Myanmar at a very complicated time politically. We decided after consulting many friends & experts in the field who encouraged us to go, bear witness to the economic, political, and ethnic tensions…. to talk to locals… and also quite frankly to spend money in an economy that is desperate. Toni Neubauer and her team helped us design a fascinating trip that allowed us incredible insight into a country that is going through a very rapid transition. cruising the Irrawaddy river for 3 days, including a magical sunrise balloon trip over the temples outside Bagan … our first experience in a balloon which was truly magical floating high above thousands of ancient temples and shrines. The Inle Lake area, where all the houses are built over water on stilts, and we toured the lake in Longtail boats. Many of the villagers still wear traditional dress, and although one sees satellite dishes and the occasional car, it’s still a throwback to another era. Things in Myanmar however, are changing very rapidly throughout the country. There’s road construction everywhere, lots of new gas stations and ATMs, and in even the most remote local market, many farmers ( and kids) have cell phones, but you also see oxen-drawn carts and remote villages where electricity and refrigeration are still a luxury. We stayed in a little hotel that felt like a wilderness retreat, the access in & out through the reeds and lotus ponds by Longtail boat. Many of the farmers work in floating gardens, and the fishermen are famous for oaring their boats with one leg. Sunsets are spectacular with mountains on the horizon, but it gets quite cool at night. We recommend that you spend long enough in this are (at least 3 days) that you can get to some of the less traveled to villages & markets. We also highly recommend a trip to Golden Rock, an unusual geological formation with a big golden Rock that has been gilded with gold. Its perched precariously on a mountaintop defying gravity, and is a major Buddhist pilgrimage destination. We traveled up the mountain in the back of a 4 wheel drive truck along with many pilgrims and overnighted on the top of the mountain where there is essentially a village to cater to all the pilgrims who want to stay overnight and sleep in the shadow of the Golden Rock. We almost didn’t go there, but Toni Neubauer insisted, and was really grateful she did! If you go to Myanmar, don’t miss overnighting at the Golden Rock. This trip report is intended as a critique, not a synopsis, of the arrangements and activities my spouse and I, frequent travelers in our mid-60s, experienced in Vietnam, Laos, and Myanmar during January 2017. The stimulus for the report was a request for feedback from both Wendy Perrin and also our travel planner, Antonia Neubauer of the Nevada-based company, who indicated she wished to learn from it both what we appreciated and also what we felt could be improved for the benefit of future travelers. 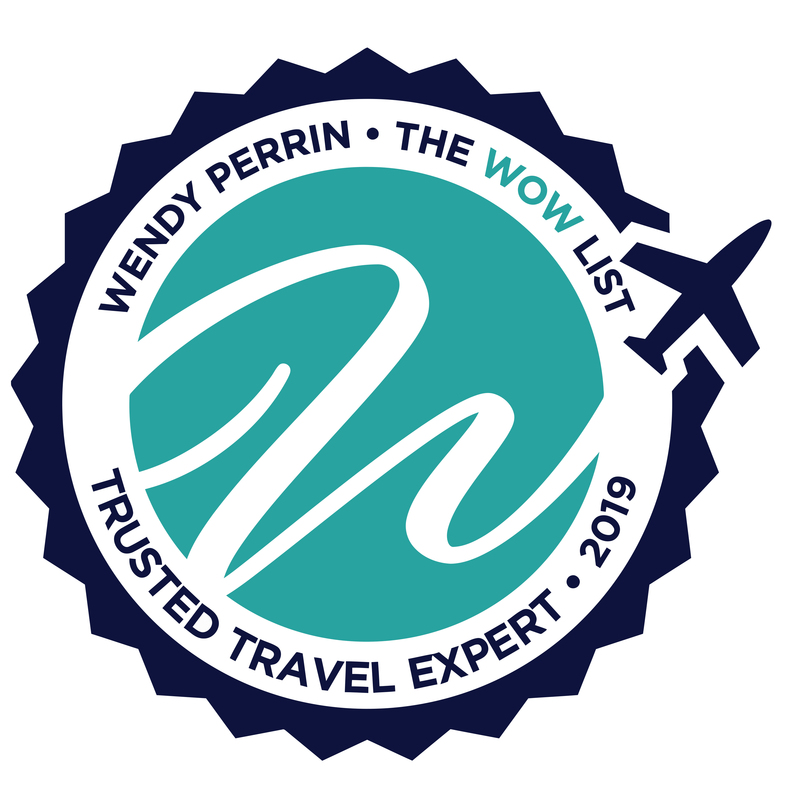 We obtained her name from Wendy Perrin’s “WOW List” of recommended travel planners and, having studied the website, reached out to “Toni” on that basis. She responded to our initial approach right away and made all our on-site travel arrangements over a period of about 8 weeks in the fall of 2016. This proved to be a successful and stimulating, albeit demanding, trip, one that we each appreciated very much. We believe that we delved beneath the surface of each of these three countries and their cultures, seeing and experiencing more than just the tourist staples. The travel planning aspects that simply had to work – capable guides, internal transportation, accommodations, safety – did so almost flawlessly. For this, Toni, her Nevada team, and her local contacts are to be commended highly, an overview that should be kept in mind as one reads the specific comments, below. To my mind, feedback that doesn’t identify problem aspects, while flattering to the planner, provides insufficient information to aid in planning future trips. Consequently, I begin with comments on the things that went wrong. 1. In Laos, travelling between remote outpost Phonsavan and highlight destination Luang Prabang involved a full day of mountain driving – some 7 hours of twisting curves, endlessly dipping up and down on two-lane roads in so-so condition. The pre-trip description did not alert us to how grueling this would be. The occasional stops along the way, while interesting enough, did not alleviate the misery of this drive (all the more difficult to endure when one is not the driver). The on-site explanation given was that there are no local flights between Phonsavan and Luang Prabang. While this is doubtless true, a much better routing for our days in Laos (we arrived from Bangkok) would have been flights from Bangkok to Phonsavan, with a change of planes in Vientiane; a return flight to Vientiane for our touring there; and then a direct flight from Vientiane to Luang Prabang. This routing would save a day of driving time in Laos, enabling more time in both the Phonsavan area and Vientiane. 2. Phonsavan proved to be our only destination that did not provide overnight accommodation to the standards that non-backpackers require. Phonsavan was also one of the most fascinating places we visited, worthwhile not only for the nearby Plain of Jars sites but also for the devastating, and continuing, impact of the U.S. “secret war” bombing sorties of 1964-1973. So, we strongly endorse Toni’s recommendation that we visit there. Nonetheless, the Vasana Plain of Jars Hotel is simply unacceptable – too dark, with hard mattresses and pillows, proffering inedible food, and staffed by people who are too young and untrained to provide adequate service. (Perhaps there are local guesthouses that would suffice, instead.) I emphasize that this was the only accommodation which didn’t measure up, and I am sure that Toni’s hands were tied by lack of alternatives. The essential takeaway is, and should be, that those who venture to Laos simply must go to fascinating Phonsavan, and be prepared to cope with the accommodations but to seek a routing that avoids an all-day drive through the mountains. 3. Our tour ended on a sour note that should be addressed. In Yangon, on our way to the airport for our flight homewards, we were taken to what was described as “a traditional puppet show in a private home”. The locale turned out to be down a small side street, in a narrow wooden building, inside which we climbed stairs to the third floor. The small room in which the show took place was, by showtime, filled with about 20 spectators, all of whom had been obliged to remove their footwear at the door. The show was well-performed and quite charming; we enjoyed it. We then jostled to vacate the building. To our horror, we discovered that a locked, steel gate prevented our egress at the bottom of the stairs. One of the puppeteers came downstairs, behind us, to let us out. The mind recoils at what would have happened had a fire started in that building. We must contend that, unless and until that problem is permanently corrected, no clients should be directed to that puppet show. 1. Our guides. The guide for each country travelled with us throughout our time in his country. Each of them was excellent, seeming to be very knowledgeable about his country, speaking very adequate to good English, friendly, and (equally importantly) willing to speak frankly with us. Spending so much time each day enabled us to get to know one another quite well, and we conversed easily with one another about a range of subjects. I think each of them appreciated the opportunity to hear about life in Canada as much as we enjoyed learning from them – and none of them hesitated to express their views about their countries’ situations today. (The Vietnam guide was particularly fascinating, as he had spent five years as a young man fighting as a Viet Cong.) Two of the three invited us to their homes for meals, enabling us to meet some of their family members. An added bonus was they all had both the skills and the confidence to vary our itinerary as needed. 2. Our itinerary. The trip was very well-planned and enabled us to see much more than we could ever have managed on our own. Things were a bit rushed, as we had a very full itinerary, with early starts every day. But we experienced more variety than the usual sites tourists could expect – including, as examples, a local dance and musical performance in Hanoi, tribal singers in the Vietnam countryside, out-of-the-way catered picnics in Laos and Myanmar, a politically incorrect comic in Mandalay, and visits to numerous workshops in small communities. We were not insulated from the people or their ways of life: we saw the warts as well as the beauty. • A cruise on the Ayeyerwady River, Myanmar. Although such cruises may have become common, we selected and specified Sanctuary Ananda, a fairly new entrant. This enabled us to unpack for four nights, rather than continually living out of our suitcase. The cruise was well-run: the food was particularly good, the rooms were large, and the daily excursions were very good (most memorably, a late-afternoon sunset visit to the U Bein bridge). • A visit to a private home in Hué, Vietnam. I had read about a local teacher and historian, Phan Thuân An, who welcomes visitors to his century-old home. Our guide arranged such a visit at no charge to us, and we spent a fascinating 90 minutes in his shrine and garden, hearing about his family connection to the former Royal family (deposed by Ho Chi Minh), the feng shui principles upon which the property was developed, and (especially) his experience of being an anti-Communist traditionalist during the civil war, caught in Hué at the very time the 1968 Tet Offensive was launched at the nearby Imperial Citadel, leading to irreparable damage at a site he so reveres. To spend the afternoon with two men of similar age, one a former Viet Cong foot-soldier and the other a passionate, opposing nationalist, was indelibly memorable. • The sole remaining synagogue, Musmeah Yeshua, in Yangon, Myanmar. • Lunch in the garden at Makphet, in Vientiane, Laos. • Dinners in the gardens at Les 3 Nagas and at Manda de Lao (both in Luang Prabang), where the settings were lovely and the local food was both delicious and inexpensive. 4. Accommodations. All of the places at which we were booked (save in Phonsavan) were very good. We rarely opted for the priciest rooms, but we were always satisfied. In particular, we recommend the Sofitel Metropole in Hanoi, the Belmond Phou Vaoin Luang Prabang, and the Inle Princess Resort in Inle Lake, Myanmar. 5. Our personal highpoints: the Cu Chi Tunnels, outside Ho Chi Minh City; Temple of Literature and “Hanoi Hilton”, Hanoi; the private local entertainments in each country; kayak trips through karst caves into hidden lagoons, Halong Bay, Vietnam; sightseeing in Vientiane; Lao massages at our Vientiane hotel (60 mins., $25); the UXO Visitors Center, Phonsavan; Luang Prabang (3 nights there was ideal); the guided tour of TEAC in Luang Prabang; the National Museum, Yangon; Ananda Phaya (temple) in Bagan, Myanmar; pretty much everything at Inle Lake, Myanmar. The following few things were less satisfactory and perhaps should be dropped or adjusted for others: a “water puppet” show in Hanoi; too many Buddhist temples, especially in Myanmar. 2. Phonsavan Hotel – Unfortunately, accommodations in Phonsavan are as difficult as getting to and from the destination. At this time, we feel the Vasana Plain of Jars is probably the best available hotel for most of our travelers. We truly hope that something new will pop up. This is a problem, as one has to spend at least one night in the area to see anything at all. 3. The Puppet Show in Yangon – Thank you so much for bringing to our attention the locked exit door. Certainly, if we take travelers to the home of the Htwe Oo puppeteers again, we will make sure that the door is not locked during the show and that the guide is there to be sure this does not happen. The show is family-run and basically, takes place in the family sitting room that has been adapted for the performance. Unlike the experience of visiting temples and museums, this puppet show provides an intimate opportunity to see the real Yangon streets and a home where locals live. As Mr. Morris commented, “The show was well-performed and quite charming.” The goal of the Htwe Oo puppet masters is to earn sufficient monies to afford a place outside their home that is dedicated to Burmese puppetry. Hopefully, that will happen soon, but, no doubt, some of the home-cooked flavors will vanish. Again, we are so grateful for the honest feedback and thank Mr. Morris for the time he took to prepare such detailed and thorough comments. There was an ease and smoothness of every connection during a 5 week trip through three countries in Southeast Asia. Finding us unique situations and people to meet. Having a true understanding and care for the local people. In all our years of travel, we’ve never experienced a more transforming and magical journey than the one Toni planned for us. Her meticulous planning ensured that there would be no surprises during our month in Myanmar, Cambodia, Bali, and Java, and what surprises we experienced were the serendipitous ones that happen when you allow yourself to seize the moment when it happens. Our guides, excellent English-speaking people and very knowledgeable, quickly got to know us and would make adjustments that would allow us to experience an unscripted moment with the wonderful people in each country. It was those unexpected moments that left us feeling like we left each country having stood in the shoes of the people for one brief moment. That perspective made us come back to our own country with new eyes and appreciation for what we have and what we don’t have. The resorts were all remarkable, each unique, staffed by the kindest people, each attending to our needs, some of them so happy to test their English skills with us, leading to remarkable conversations about their lives. Restaurants were chosen to give us an overview of the food in the country, and the food was always delicious. Ancient temples, historic buildings in cities, beautiful rides in the country, food markets, candlelit dinner at a Burmese village home, boat rides on magical Inle Lake in early morning, watching the fisherman at work, floating gardens and villages, harvesting in the rice fields, 4 wheeling on a volcano, being surrounded by students practicing their English on Borobudur, the list goes on and the memories will never end. But what set this trip apart was that Toni wanted to make sure we truly understood the people. Juxtaposed to the beauty was a trip to the Genocide Museum and Killing Fields in Cambodia, a heart-rending visit that we initially didnt want to make but realized afterwards that we had to make. It opened our hearts to the horror of what these people had endured and the wonder at the hope they all showed in spite of losing so many family members. Growing up in America, we’d read the stories in the newspapers, but it was only in being there that they became real to us. We’ll never forget the hour we spent on a boat with our Cambodian guide, anchored in the middle of Tonle Sap Lake, listening to his story. We felt such a connection to him and were so moved by his hopefulness and his vision of what his country would be for his children. It was this same young man who managed to make us feel like early French explorers discovering the ancient temples of Cambodia for the first time. We felt like we were truly in an Indiana Jones movie on an adventure of a lifetime. Words can’t describe those four days of discovering the temples of Cambodia. It was hard to believe the vision the Cambodian Kings had, the tenacity and ingenuity of the builders and that these temples are still standing, thanks, in part to the restoration of them by so many countries in the world. Leaving Cambodia was difficult but Bali called to us and we were unprepared for the natural beauty ahead of us. Not only did we enjoy some beach time, but we quickly headed to the Ubud region and were stunned by the arts there, the countryside, and the people. We took a walk through the rice fields on Christmas day but before the walk we met a family in their home. There was a little 4 year old boy, shy, unable talk to us, but being a musician, I decided to sing “Twinkle, Twinkle Little Star” to him. I made it through 6 notes and he ran to his bedroom and returned with a little keyboard and played a perfect Twinkle on it. I was reminded that music is universal and in that moment we “spoke” to each other through music. That was our common language, as it also was in Burma when we sang nursery rhyme songs with children in a village, or took gamelan lessons in Bali. What we also took away from this trip was an understanding of world religions, since we had a Buddhist, Hindu, and Islamic guide in three different countries. We listened to their devotion to their beliefs, heard their family stories of faith, witnessed their reverence of their holy temples, heard Islamic prayers 5 times a day, were blessed by Hindu priests, even had a healing ceremony on Christmas Day in Bali with a man who couldn’t speak English. We began to understand what made each nation tick, what kept them believing in a hopeful future when politics intervened in their lives. We witnessed their smiles, saw their tears when we were in the temples being blessed, and were so moved by their faith. So, if you want to experience a trip of a lifetime, go to Toni. You won’t be disappointed. Many very unique and memorable experiences. Ann Thiel, family of 5 – Our trip to Bhutan in July was beautifully planned and executed as we travelled across much of the country. Both our tour guide, Kinley, and his driver, were very professional, knowledgeable, and personable. We had many very unique and memorable experiences, especially interacting with the Bhutanese in their temples and homes. I would definitely use Toni and her staff again as they are clearly very knowledgeable and effective at creating unique and unforgettable experiences. We always felt well cared for. Toni was very prompt in getting back to me. I spoke to her on the phone a couple of times, discussing what we wanted in this trip. While in Nepal we always felt well cared for, somebody was always helping us & checking the details, during every part of our trip. We are seasoned travelers and know how things just don’t always go according to plan. Having said that, in my opinion, this trip really did go quite flawlessly! We had a wonderful trip! Our trip to Bhutan, organized by Toni and her team, was wonderful. The pre-trip planning was thorough, and they were able to expedite our visas. Our Bhutanese guide, a long-time, was extremely knowledgeable and professional and jumped on the opportunity to take in a spontaneous festival, which we appreciated. The itinerary was comprehensive, and the hotels excellent (Toni even upgraded us for 2 nights). I would recommend Toni with Myths and Mountains to anyone planning a trip to Bhutan. They'll design a great trip. Antonia Neubauer and her staff worked with us to design a near perfect trip. We’re very experienced and picky travelers — used to doing almost all of our trip planning on our own. But we were advised by friends, correctly, that Myanmar had limited and challenging infrastructure. Toni listened to our ideas, quickly came up with a preliminary draft, then worked closely and personally with us to tailor everything to our preferences. We were working on a somewhat short timeline (our procrastination) and Toni and her staff were responsive, fast, and we always had a sense of personal interaction. If you’re not picky and just want to defer all the decisions — they’ll design a great trip. If, like us, you want to put your personal stamp on the experience, they’ll accommodate that as well. The only thing we would have liked would have been a more detailed breakdown of expenses. This would have been critical if we had been looking at options to shave 5 or 10% off the final cost (i.e. cut half a day for car/driver/guide versus down scaling hotel choice). But that said, we strongly recommend Toni and the folks at Myth and Mountains. Five weeks ago, my daughter and I returned from a fabulous trip to India and Nepal designed and organized by Myths and Mountains in Incline Village, Nevada. I typically make all my own travel plans and arrangements and having never used a professional for a customized trip, I was very pleased. Toni Neubauer was outstanding in helping me think through what I wanted to see and accomplish and in designing our itinerary. It was a busy 12 days of cultural and spiritual sensory input. We arrived in Delhi and when taken to our hotel, we were presented with a Kata that was blessed by the Dalai Lama. What an unexpected and wonderful start to our trip! Having trekked in Nepal 2 years earlier, I was excited to see the Himalayas again. The setting for Dharamsala is magical. The day after we arrived, we rose early to get seated for a public teaching by the Dalai Lama. We stayed in Dharamsala for two full days and saw several different monasteries, Men-Tsee-Khang ( a traditional Tibetan school of medicine where my daughter consulted a doctor!) and Norbulingka. Norbulingka is a very special place that is dedicated to handing down tradition and restoring standards by providing training, education and employment for Tibetans. We enjoyed a delightful lunch outside and participated in a Tanka workshop. We left Dharamsala and drove down to Amritsar. The drive gave us a good perspective of what the country side and smaller towns were like. Arriving in Amritsar, we were taken to the Golden Temple. Our Sikh guide escorted us around one of the most stunning buildings I have ever seen. Walking through the kitchen area that serves 60,000 meals a day was a once in a lifetime experience. Varanasi. Wow. Everything I expected and then some; the noise, the dust, the colors, the smells. Our hotel was in the perfect setting, on the banks the Ganges with our room on the top floor and windows overlooking the river. That night, we actually participated in the evening Aarti ceremony on the very first step of the ghat with the Hindu priests, making offerings to the river while listening to the chanting and pilgrims all around us. The next morning before sunrise, we went down to the river to hop on a boat and experience all that goes on along the ghats each morning. Our guide was very knowledgeable with both the Hindu and Buddhist religions and gave us great lessons. I wanted to show my daughter Nepal, so we flew to Kathmandu and spent the night in a traditional guest house in Patan. The next morning came early and we were off to Swayambunath, the lotus temple, to have the early morning experience with the local people. After breakfast we stopped at the READ office of Nepal that does such fabulous work for the people of that country. This trip was something my daughter and I will never forget. I wanted to make sure that Myths and Mountains was recognized for the professional job that they did. I will use them again when possible. My wife and I checked into Dwarika’s Hotel in Kathmandu, Nepal, less than four hours before the earthquake that devastated this wonderful country struck. As you might imagine, our plans to explore this intriguing valley ended that morning. Within minutes of the initial shock, the entire staff of Dwarika’s, from owner to housekeeper, sprang into action. We immediately knew that while we were in a foreign land, we were safe; that we had people who would protect us. Ambika Shrestha, the 85-year-old matriarch of the Shrestha family who own the hotel, calmly sat in the midst of her guests throughout the entire ordeal as her daughter, Sangita, demonstrated unparalleled leadership as she directed her dedicated staff with absolutely stunning poise, grace, and competence. Sangita’s performance under pressure was flawless. Never once did she raise her voice. Her presence conveyed a confidence that allowed us all to take a deep breath, and realize that we were going to be fine because she and her mother were not going to let anything prevent that from happening. The hotel staff, cooks, housekeepers, and groundsmen, all of whom were personally touched by this catastrophe, subordinated their personal interests and provided us with comfort and protection from the elements. After spending our first night under a cloudy, and sometimes wet Kathmandu sky, we awoke to a prepared breakfast, along with toothbrushes and toothpaste. Housekeepers made our outdoor beds. Generators kept cell phones charged. And it was all done with a matter-of-fact precision that made it clear that yes, we were going to be all right even as our stay extended another 36 hours. I cannot possibly express our appreciation to all at the Dwarika’s for their concern, support, comfort, and kindness as they balanced the losses that they, their families and country undoubtedly experienced with a collective commitment to their guests. We were blessed to have been in their company during this tragedy, and can only hope that better days remain ahead for them and all whom we left behind in Nepal. Behind the scenes, Toni Neubauer of Myths and Mountains worked tirelessly to coordinate our hasty departure. We were able to reach out to her several hours after the quake. She immediately sprang into action, and somehow through her extensive network of contacts in the region, booked us a flight the following afternoon. Booking the flight was miraculous, but it would have been meaningless but for Toni’s people on the ground, as we needed transport from Dwarika’s. Toni’s (and our) guide, Ananta Gubhaju, and his colleagues were there whenever we needed them. They safely transported us through the chaos at the airport, and then waited there for more than 8 hours, having promised not to leave until our flight departed. When the flight was cancelled, they promptly returned us to the Dwarika’s, which welcomed us with open arms. All the while Toni continued to work behind the scenes, anticipating that the flight might not work. She confirmed the original flight for the next day and booked a back-up. She maintained constant contact with our relatives stateside. It was unequivocally clear that she had established a reliable, professional network of wonderful people as a result of her years of travel to the region. Her efforts, and those of her network, did not end when we safely arrived in Varanasi. Somehow, she marshaled people who met us at the gate, and whisked us through customs as we ran to make a connection to Delhi. When we arrived at the gate after the flight’s departure, there no cause for concern. Within minutes, we were booked on the next flight out, giving us an hour or so to decompress before we travelled to Delhi, where, once again, Toni’s people were patiently waiting for us when we arrived. It was apparent from my first contact with Toni that Myths and Mountains is much, much more than a travel agent. Her organization knows the region, and has an incredible appreciation of the needs of its clients, and the idiosyncrasies of travel to the region’s special places. Her understanding of the area reflects her decades of travel, and commitment to the region, as evidenced by her support of READ Global. I will not allow our trip to the foothills of the Himalayas to be defined solely by the catastrophe that struck Nepal because Toni made it so much more. We spent 8 captivating days in Bhutan where her contacts were absolutely fabulous. Her colleagues in Delhi and Agra made our short time in India a truly great experience that forever changed my perception of that country. And when we return to Nepal, and return we will, Toni will be the person who will get us there, and who will get us back. I have taken two marvelous trips arranged by Toni—to Bhutan and to Mongolia. She is the absolute best. I would not consider anyone else. When I’m ready for my next trip, I’ll call Toni. Myths and Mountains concocted a first trip to Nepal for me in October 2013. As a solo female traveler, I was so impressed with the guide and driver they arranged for me: absolutely trustworthy, very knowledgeable, always on time, and always willing to “go with my flow”. The itinerary M and M created was just perfect for what I wanted – an overview of the country, its culture, people, and famous sights. The guide was so knowledgeable that I could not stump him, despite peppering him with questions 8 hours a day. Every lodging arranged for me was accurately described by M and M and virtually all exceeded my expectations. When lodgings might not be up to what a Westerner would expect, M and M let me know that ahead of time so I was never surprised. The guides they arranged even went the extra mile: I had tacked on a self-arranged trip to Tibet at the end of my stay in Nepal and when I returned to Kathmandu from Lhasa and had a 10 hour layover before catching my flight back home, they collected me at the airport and then dropped me off back at the airport later, keeping my luggage with them, so I could spend that last bit of time in Kathmandu rather than sitting in the airport. In sum, M and M’s vast experience in Nepal gives you access to the very best tour guides and experiences available. I remember this trip like it happened yesterday, and I will for many, many years to come. This was the best trip my wife and I have taken since our 1979 three month journey across Asia – on a shoe string budget with no internet or cell phones or guides or Myths and Mountains. Bhutan hits the ball out of the park in so many categories – one of the best guides ever, gorgeous landscape, absolutely incredible architecture at the individual house and village/district temple level. Beautiful peaceful sweet people. I’ve never been so relaxed and let my guard down so much any place on earth. Most eco friendly country on the planet bar none. Best King. Smart, thoughtful, effective, follows thru, and gets stuff done. Never saw a stream I couldn’t see the bottom of. Virgin forests unlike anything else on earth. Selfless people who’s first reactions to most questions or problems – is simply laughter. The people are absolutely amazing. The dinner with the Mayor of Thimphu was amazing too. He was so nice and humble and smart and authentic and caring and competent. Where do they find such people? Thank you so much for arranging that meeting. The hotels were perfect at every stage (two couldn’t deliver hot water but no big deal – we’ll bathe at any temperature.) I loved dining with the hotel owners and shooting the breeze about global politics, how to protect Bhutan from the swarms of greedy tourists coming their way in increasing numbers, etc. I especially liked the progression of the quality of hotels in the final third of the trip. The sorer and the more tired I got, the better the hotels got. It was like a drug treatment program that gradually stepped you up from 3 star to 4 star and then back to the Trident in Delhi which I think was pushing 6 stars – so our re-entry to the US would not be so abrupt. Just wanted you to know that you guys are the best in your business and we will remember this trip with joy and fondness for the rest of our lives.